Jewish Facts From Portland: The End Before the Messiah-Ezekiel's Prophecy About a Huge Army-Gog and Magog: Is It IS? The End Before the Messiah-Ezekiel's Prophecy About a Huge Army-Gog and Magog: Is It IS? With the advent of ISIS's development from Syria into Iraq and being so close to Baghdad, Israel is being threatened by this most horrible of all terrorist groups. If they succeed in taking Baghdad, they've made it known that they will also take over Damascus, Jordan and Israel. 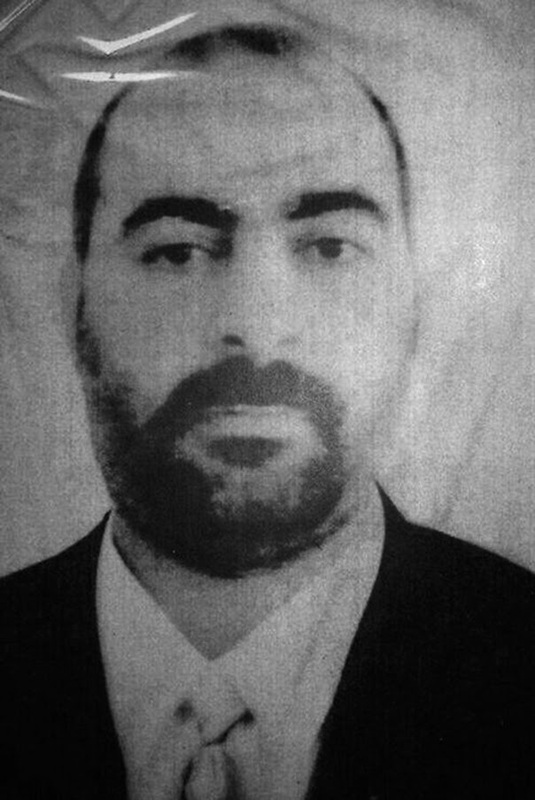 Abu Akr al Baghdadi-leader of IS (Islamic State). Albert, a friend of mine wrote ": "The emergence of the ISIS-led Caliphate is a clear pre-Messianic sign that will bring in the so-called Wars of Gog and Magog, as described in Ezekiel 38. Here is an extract that shows the reunion of these states forming the Caliphate of the end of days: "and I will turn you about, and put hooks into your jaws, and I will bring you forth, and all your army, horses and horsemen, all of them clothed most gorgeously, a great company with buckler and shield, all of them handling swords: Persia, Cush, and Put with them, all of them with shield and helmet". Persia= Iran, Cush= Africa (conflicts are already occurring all over there), Put= Babylonia (Iraq/Syria/Jordan/etc.)... Future will tell..."
So I turned to Ezekiel 38 in my Tanach (Bible) and read this book, a book of tragedy but not despair, for this prophet tells us that Israel will rise again and return to its home. There, in Jerusalem, it will assume a new and eternal name: "Hashem is there". The fact is that Ezekiel was talking to Jews who had been kidnapped and taken to Babylon, and Ezekiel was right. Israel has risen again, and the world is rather shaken up about it. What? a prophet from the "Old Testament," prophecies are coming true? They didn't think this could ever happen. But then again, who would think in the year 2014 that a Caliphate would be born again and that they would be so brutal and bloodthirsty, disregarding the states of Syria and Iraq, and the lessons they had been brought up with by their own teacher, Muhammad. 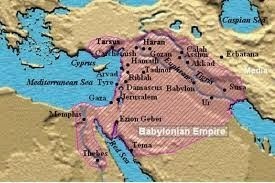 The Babylonian Empire fell with the invasion of the Romans into the land. 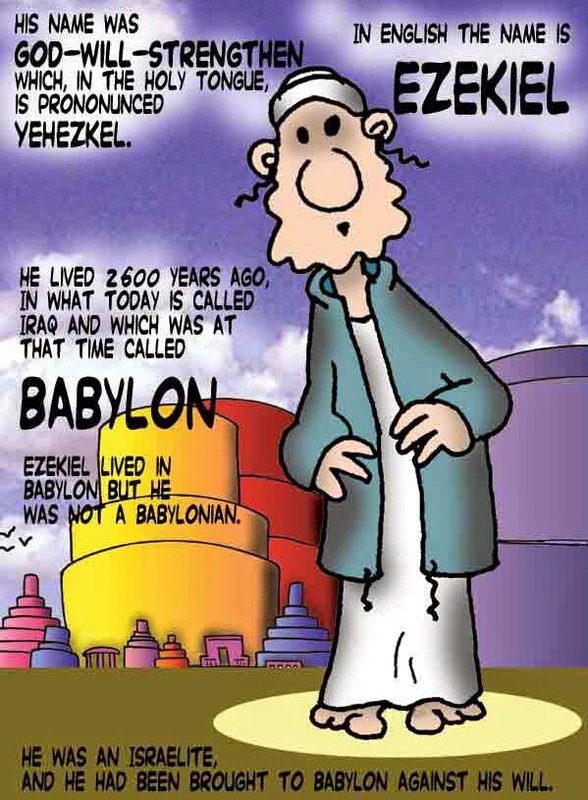 Ezekiel lived in the days of Nebuchadnezzar of Babylon who also had a conquering army. He destroyed the Temple in Jerusalem. Jews never dreamed that could happen. At that time, Ezekiel witnessed a change in the Jewish people as having become sinful. Now that they were in exile, they had lost hope and believed that they had lost their share in the G-d of Israel. Were they still a part of his people after he let Nebuchadnezzar take them away? Ezekiel was a prophet of hope and rebuke. He spoke to those Jews remaining in the destroyed Jerusalem, too. He shared everyone's suffering because his own wife died in the plague that hit. He had told them that G-d would pick up Israel from the nations and purify it and replace their stubborn heart with a warm and feeling heart, and a humble, battered group of Israelites would rise and dwarf the haughty. His vision of bones rising and coming back to life is that of an Israel becoming a vibrant new nation! It's now happened! In his prophecy, Judah and Ephraim are united again with a descendant of David as their king with the Land of Israel as their home and with G-d. Judah was the largest of the 12 tribes of Jacob and was the southern part of Israel that broke away after the death of King Solomon. Jews get their name from Judah. The other 10 tribes were taken away by the Assyrians, leaving a huge vacuum in Israel of its best people. Ezekiel, son of Buzi, a Kohen (J1 DNA) , was one of those Jews exiled from Jerusalem to the land of the Chaldeans (Babylonia) and was by the river Chebar. . In the 30th year of exile, which happened 2 times-the first time in 597 BCE and again 11 years later in 586 BCE. He was a member of the priestly family of Zadok and most likely served in the Temple before its destruction in 586 BCE. Ezekiel was among those people exiled before then, for it went on for quite a few years. He was taken to Tel Abib on the river Kebar in Babylonia where he was touched with prophecy. This is how it happened. Ezekiel said the heavens opened up and he saw visions of G-d. This was in the 30th year of the 4th month on the 5th day that it happened. By the 5th of the month, which was in the 5th year of the exile of King Jehoiachin(598-597 BCE as king) , he heard the words of G-d.
One prophecy was when the words of G-d came to him saying, "son of man, look towards Gog of the land of Magog , the prince and leader of Meshech and Tubal. (Ezekiel 38-39). Tubal-Cain was the first craftsman in iron and copper, son of Lamech. Lamech according to one tree, was the descendant of Seth and father of Noah (gen. 5:4-29). According to another tree, he was the descendant of Cain. (Gen. 4:18-24). He had 2 wives: Adah and Zillah, and 3 sons: Jabal, Jubal and Tubal Cain, the founders of civilization. The name is connected with the tribe of Tubal whose members were noted as copper miners and workers. (Genesis 4:22). The king is Gog and the country is Magog. Gog's downfall is predicted. Can this leader of ISIS (IS), Abu Akr al Baghdadi, be Gog that is predicted? It says he will attack the Land of Israel as the head of the armies of many peoples. This is to all come about, according to our Talmud, before the coming of the Messiah. It's interesting that Jews, Christians and Muslims all are awaiting the Messiah foretold about in their respective religions. All three religions tell about this war of Gog and Magog. Remember, it was first told by Ezekiel in c597 BCE. That's a good 600 years before the Christians were even Christians and 1,200 years before the Muslims were even Muslims. The tribe of Judah and the tribe of Ephriam are to be united again? We know that Judah was the largest tribe of 12, from the son of Jacob and Leah. Ephriam was the son of Joseph and Joseph was the son of Jacob and Rebecca, the woman he first fell in love with that was so beautiful. Rebecca and Leah were sisters. Of course, Jacob was the son of Isaac, son of Abraham by Sarah. All of the 12 sons and their male offspring should be of the J1 haplogroup of DNA. This is predicting a unification of the tribes of Israel as being one again. Picking out just Ephraim might be inferring that not all will be united when hit by this army. I note that Manasseh, Ephriam's brother, was not included in the return, nor were the tribes from the handmaidens of Leah and Rachel mentioned. The prophecy went on about the army coming. " Persia (Iran), Cush (Africa), and Put (Babylonia: Iraq, Syria, Jordan ) will be with them." They will have their uniforms and protection on. They will have people standing with this army: Gomer and all her cohorts, ( However, GMR is well known to the ancient world as Gimarrai (GMR) of north central Asia Minor (Cappadocia). These people are also known as the Cimmerians (KMR, note the change in gutturals from "G" to "C"). This seems to be the simplest, most obvious interpretation.). The house of Togarmah (Togarmah is among the descendants of Japheth and is thought to represent some people located in Anatolia. Medieval traditions variously claimed Togarmah as the mythical ancestor of peoples in the Caucasus and western Asia, including the Georgians, the Armenians and some Turkic peoples.) in the uttermost parts of the north, and all its cohorts-many peoples will be with you. Prepare and make ready for yourself, you and all your hordes that are mustered about you, and be a guardian for them. So "Gog will come up against Israel with many peoples from the furthest north." This could be referring to Russia and Norway, places that have been hard against Jews. G-d will punish them "with pestilence, and with blood, and with overflowing rain," This sounds like the Ebola virus from Africa and flooding. For seven years the inhabitants of Israel will use the weapons of the enemy for fuel. "They will attack simply out of a lust for violence and with the intention of destroying a peaceful kingdom. Indeed, other prophets prophesied about a people that would come up from the north to besiege Israel in the end of days, but Ezekiel, who prophesied after the destruction of the Temple, fixed the date of the last war after the ingathering of the exiles and the rebuilding of Jerusalem." IS is coming from the north. How far they get remains to be seen if Babylon can hold out. The war of Gog and Magog is seen as a war against G-d.(Gog is merely an official title or general designation for any enemy of God's people.). It certainly may be as it is led by a Salafi Muslim who has extreme ideas about what is right and wrong in Islam. They have been killing people viciously who are Muslims, so think what they will do to non-believers. The Kurds are holding out, however way in the north of Iraq, and the army of Iraq is doing much better. Fear is used by these violent people. Maybe they're getting over their first fears of them. Maliki, president of Iraq, a Shi'a, is offering amnesty to all Sunni's fighting against him, and " gave warning on the threat posed by the Islamic State, saying that "no one in Iraq or any neighboring country will be safe from these plans"
ISIS was known about in 1995. This is what the religious body of Sunnis said. " Nothing justifies transposing this kind of attitude onto our scholarly resources in Islam, whether it is called "Islamic Movement", "Salafism", or something else, and the sooner we leave it behind, the better it will be for our Islamic scholarship, our sense of reality, and for our din. " Just recently IS went through Iraq and slaughtered over 30 Sunni Imams. Almost 2000 years ago, the Zohar predicted, "In the 600th year of the 6th millennium, the gates of wisdom on high and the wellsprings of lower wisdom will be opened. The Zohar predicts with almost uncanny accuracy the onset of the technological revolution. Here we see a clear prediction that in the Jewish year 5600 (1840 CE), the wellsprings of lower wisdom would be opened and there would be a sudden expansion of secular knowledge. Although the year 1840 did not yield any major scientific breakthrough, the date corresponds with almost uncanny accuracy to the onset of the present scientific revolution.